*** The Robot is not Assembled ! 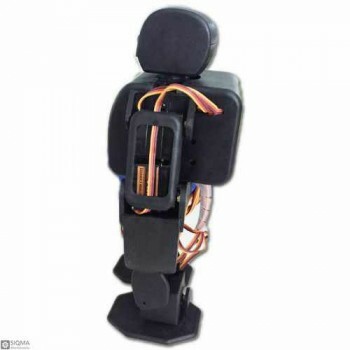 The robot's body structure consists of a total of 18 degrees of freedom from the head, torso, arms and feet (the head rotation control program has not yet been developed but provides the interface), and the robot powered by a highly sensitive 12g metal gear steering, To respond. 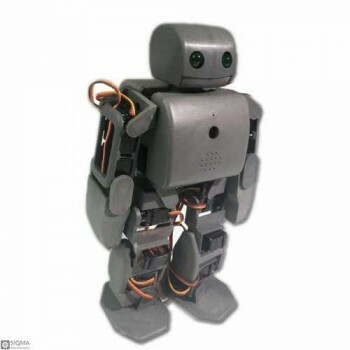 The robot's multi-degree-of-freedom features provide users with a powerful imagination. 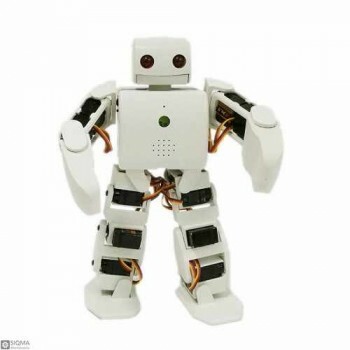 Users can freely customize their own needs according to their needs, such as walking, standing, turning, dancing, doing sports, lifting objects, and even completing various difficult tasks The action, such as push-ups, roll, roll forward, roll back, upside down, and so on. Robot eyes with dual LED, the main color options: gray, black and white. 12g metal gear simulation servo, with high torque, high precision, virtual bit small, zero dead zone, with precise and fast response to the robot's movements more agile, neat! 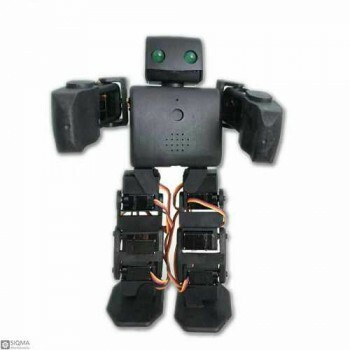 You can control the robot's motion with wireless WiFi to assist in various dance moves. It is a graphical software that allows you to edit robot actions with just a mouse click on the computer. It is easy for junior high school students to operate.